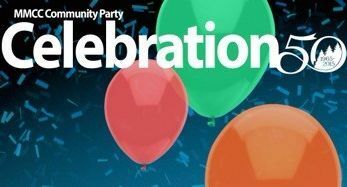 Mid Michigan Community College (MMCC) is hosting a community celebration on Tuesday, Aug. 25, aimed to provide fun for all ages. The college has a lot to celebrate. This year marks 50 years that it has served the mid-Michigan region, and it is the one-year anniversary of its comprehensive and unified Mt. Pleasant campus. In appreciation of the many ways that community members have supported MMCC’s growth and success, the college is offering a free, fun event. The celebration will be held from 2-6:30 p.m. at its Mt. Pleasant campus on the corner of Broadway and Summerton roads. The celebration will provide activities for the whole family and include an array of food options available for purchase from local food trucks including Blondy’s BrunchBox, Dean’s Boys BBQ, Dog Central, and Up Dog. The free, family-friendly event will take place inside and outside of the college. It will include inflatables and bounce houses, a rock wall, and giant bungees, airbrush tattoos, and entertainment, just to name a few. The Mt Pleasant Discovery Museum also will offer fun activities for young people. Students already registered for fall classes at MMCC can take part in orientation activities and informational sessions, as well as take tours of the campus and find their classes. It’s the first day that students can charge text books to their financial aid, and it’s a perfect time to learn more about how to succeed in college. Current students who attend the orientation will be entered into a drawing to win gift cards for $250, $100 and $50. Students or parents interested in RSVP’ing for an orientation session should fill out the online form at midmich.edu/august25. The public is encouraged to come and eat, play, tour the new Mt. Pleasant campus, and let MMCC say thank you for supporting its 50 years of service. For more information about MMCC’s Community Party, visit midmich.edu/august25.